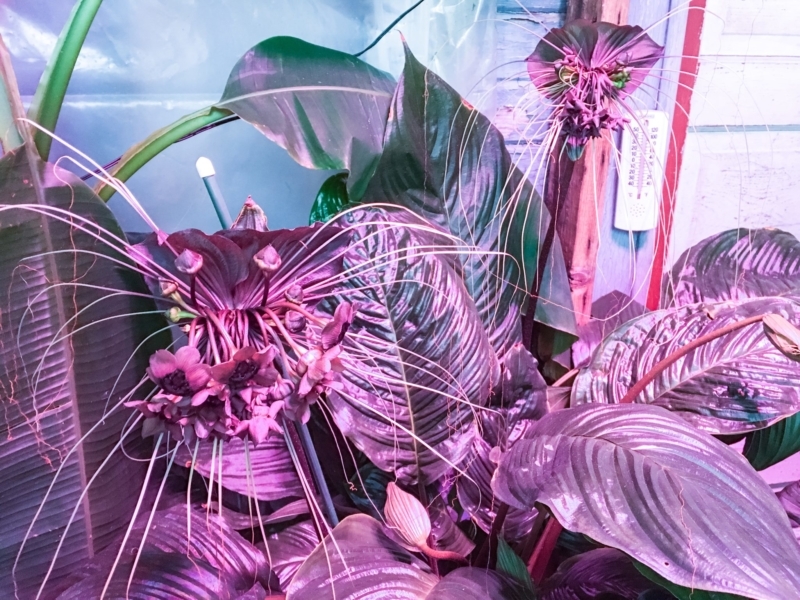 One of the first tropical plants that really intrigued me was Tacca – which is commonly known as the bat plant. 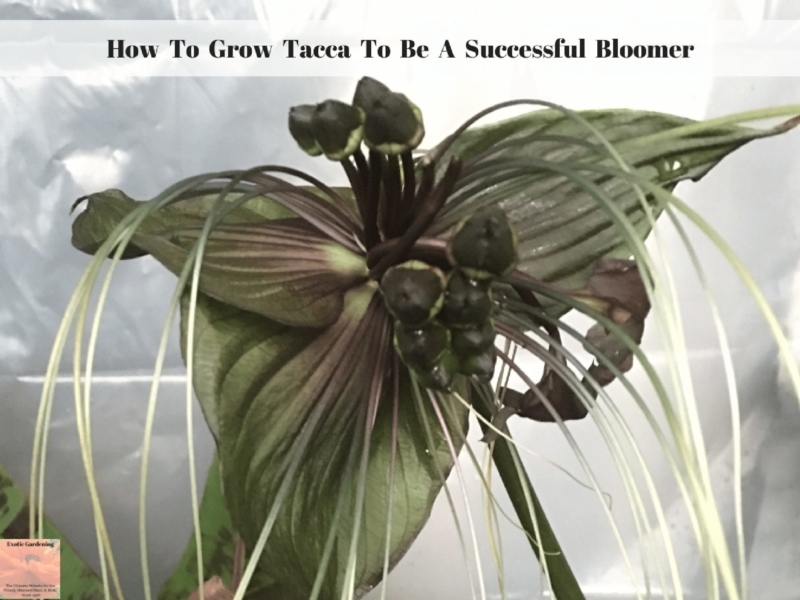 First I read everything I could find on how to grow tacca. Finding one was hard however since I live in Indiana and tropical plants are not common here. 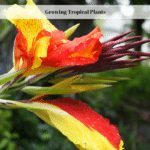 Sure the big box stores get palm trees, peace lilies and other tropical plants known to thrive as houseplants, but the truly tropical – and bizarre plants that I love are not easy to come by. So I went on a search for seeds. That was when I found out the bat plant comes in more than just black – there are white ones, green ones and even brown ones. The seeds for the white variety were accessible so I ordered some. 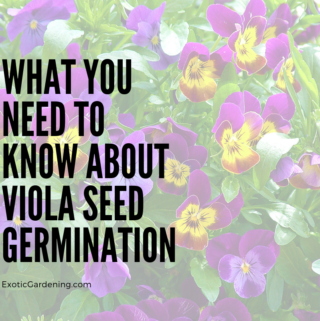 In fact I ordered some multiple times because I just could not get the seeds to germinate. At last, I did succeed and here is how I did it. I sprinkled them on top of moist potting soil. I then sealed the container, keep it inside my house so that it would remain warm and waited. The seeds germinated within a three month time period. I did not open the lid during this time other than to carefully add water when I noticed the condensation inside the container was starting to dissipate. I used a mister to add water so I did not disturb the seeds or accidentally overwater. The seedlings transplanted well and were growing. During a move the pots they were in dried up and I lost the seedlings. Fast forward several years. I finally was able to acquire a blooming size bat plant. It has a single bloom on it when I bought it and no signs of buds. It was healthy however and I decided to give it a go. 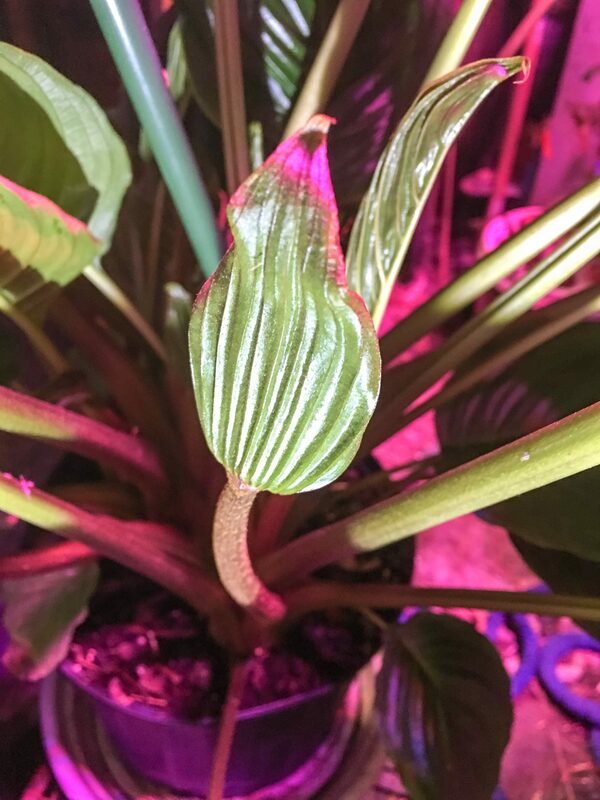 I put the bat plant in my greenhouse – and while it does receive light from a grow light it is off to the side of the grow light. The bat plant does like bright light, but not direct light so the position of my grow light is ideal. I also have a banana whose leaves tower above it. 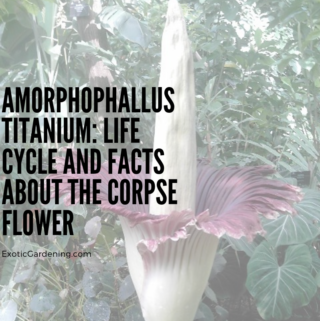 The first thing I learned about this plant – years ago – is it does not tolerate dry soil. I placed a saucer under the pot and water about once a week. I allow the saucer to fill with water and let the plant drink up as much as it wants. When I go out the next week to check, the saucer is dry and the soil – while still moist enough to keep the plant alive – is definitely ready for more water. After the plant was here about a month, I noticed what appeared to be flower buds. I kept my eye on them to make sure they were what I thought they were – and indeed that was the case. Right now I have four buds and two blooms on the plant. The paperwork I received with the plant I bought mentioned it blooms up to eight times in one season so I think I am doing pretty good. The bat plant likes warmer temperatures so I try to keep my greenhouse around 60 degrees Fahrenheit at night. This plant does require high humidity, which of course my greenhouse has, but I also mist it from time to time. The typical bloom time for this plant is late summer through fall. Mine was in bloom in August when I bought it. It is November now and clearly not done blooming. I did not repot it when I brought it home, but plan to do so come spring before new growth commences. The potting soil mixture this plant prefers is 50% pine bark, 40% peat moss, and 10% sand so that is a mixture I will make myself. As for fertilization, so far I have not used any. 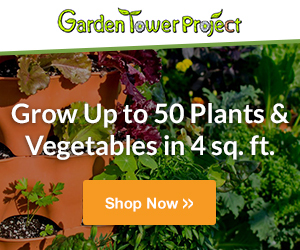 I know plants such as this are often over fertilized before they are sold to encourage fast growth and flowering. 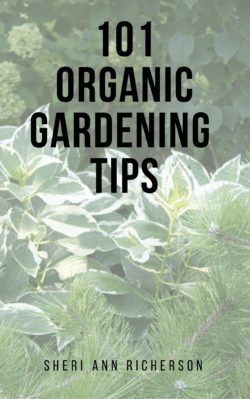 Once I repot the plant I will use orchid fertilizer bi-weekly and add a small amount of a slow release fertilizer into the soil mixture. 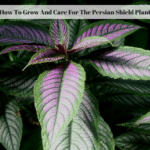 Truthfully I have found this plant very easy to care for. Questions or comments? Leave them them in the comment section below! 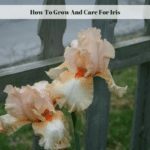 I recently purchased a rhizome and planted that myself. It will be winter soon so I’m not expecting a whole lot to happen at the moment. I keep an 80% humidity in my room at around 66°F. I have it place away from my grow light as well. I’m more curious as if I’m keeping the soil moist enough but not too wet to cause rot to the rhizome. Any other tips you have? Or do you think I’m on the right path. I think you are on the right path. 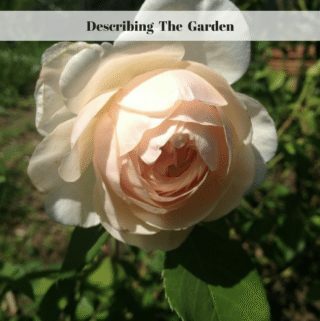 Mine bloomed during the winter and went dormant during the summer. I had mine under my grow light but my Tacca was positioned under my banana plant. I am pretty sure my grow light was a good 8 feet or more above it. I watched the leaves to make sure they did not wilt. If I saw them start to wilt, I watered right away. I simply filled the saucer and let the plant drink it up. I checked the next day and if the the water was still there, I poured it off. Mine was in a greenhouse however and usually there was no water left in the saucer. I hope this helps!